William Blake I. "Songs of Innocence", II. "Songs of Experience", III. "The Marriage of Heaven and Hell", IV-V. "The Book of Job"
As a term to cover the most distinctive writers who flourished in the last years of the 18th century and the first decades of the 19th, “Romantic” is indispensable but also a little misleading: there was no self-styled “Romantic movement” at the time, and the great writers of the period did not call themselves Romantics. Not until August Wilhelm von Schlegel’s Vienna lectures of 1808–09 was a clear distinction established between the “organic,” “plastic” qualities of Romantic art and the “mechanical” character of Classicism. Many of the age’s foremost writers thought that something new was happening in the world’s affairs, nevertheless. William Blake’s affirmation in 1793 that “a new heaven is begun” was matched a generation later by Percy Bysshe Shelley’s “The world’s great age begins anew.” “These, these will give the world another heart, / And other pulses,” wrote John Keats, referring to Leigh Hunt and William Wordsworth. Fresh ideals came to the fore; in particular, the ideal of freedom, long cherished in England, was being extended to every range of human endeavour. As that ideal swept through Europe, it became natural to believe that the age of tyrants might soon end. The most notable feature of the poetry of the time is the new role of individual thought and personal feeling. Where the main trend of 18th-century poetics had been to praise the general, to see the poet as a spokesman of society addressing a cultivated and homogeneous audience and having as his end the conveyance of “truth,” the Romantics found the source of poetry in the particular, unique experience. Blake’s marginal comment on Sir Joshua Reynolds’s Discourses expresses the position with characteristic vehemence: “To Generalize is to be an Idiot. To Particularize is the alone Distinction of Merit.” The poet was seen as an individual distinguished from his fellows by the intensity of his perceptions, taking as his basic subject matter the workings of his own mind. Poetry was regarded as conveying its own truth; sincerity was the criterion by which it was to be judged. The emphasis on feeling—seen perhaps at its finest in the poems of Robert Burns—was in some ways a continuation of the earlier “cult of sensibility”; and it is worth remembering that Alexander Pope praised his father as having known no language but the language of the heart. But feeling had begun to receive particular emphasis and is found in most of the Romantic definitions of poetry. 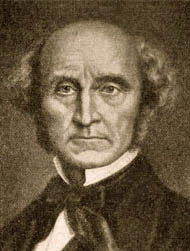 Wordsworth called poetry “the spontaneous overflow of powerful feeling,” and in 1833 John Stuart Mill defined poetry as “feeling itself, employing thought only as the medium of its utterance.” It followed that the best poetry was that in which the greatest intensity of feeling was expressed, and hence a new importance was attached to the lyric. Another key quality of Romantic writing was its shift from the mimetic, or imitative, assumptions of the Neoclassical era to a new stress on imagination. Samuel Taylor Coleridge saw the imagination as the supreme poetic quality, a quasi-divine creative force that made the poet a godlike being. Samuel Johnson had seen the components of poetry as “invention, imagination and judgement,” but Blake wrote: “One Power alone makes a Poet: Imagination, the Divine Vision.” The poets of this period accordingly placed great emphasis on the workings of the unconscious mind, on dreams and reveries, on the supernatural, and on the childlike or primitive view of the world, this last being regarded as valuable because its clarity and intensity had not been overlaid by the restrictions of civilized “reason.” Rousseau’s sentimental conception of the “noble savage” was often invoked, and often by those who were ignorant that the phrase is Dryden’s or that the type was adumbrated in the “poor Indian” of Pope’s An Essay on Man. A further sign of the diminished stress placed on judgment is the Romantic attitude to form: if poetry must be spontaneous, sincere, intense, it should be fashioned primarily according to the dictates of the creative imagination. Wordsworth advised a young poet, “You feel strongly; trust to those feelings, and your poem will take its shape and proportions as a tree does from the vital principle that actuates it.” This organic view of poetry is opposed to the classical theory of “genres,” each with its own linguistic decorum; and it led to the feeling that poetic sublimity was unattainable except in short passages. Hand in hand with the new conception of poetry and the insistence on a new subject matter went a demand for new ways of writing. Wordsworth and his followers, particularly Keats, found the prevailing poetic diction of the late 18th century stale and stilted, or “gaudy and inane,” and totally unsuited to the expression of their perceptions. It could not be, for them, the language of feeling, and Wordsworth accordingly sought to bring the language of poetry back to that of common speech. Wordsworth’s own diction, however, often differs from his theory. Nevertheless, when he published his preface to Lyrical Ballads in 1800, the time was ripe for a change: the flexible diction of earlier 18th-century poetry had hardened into a merely conventional language. born Oct. 19, 1784, Southgate, Middlesex, Eng. English essayist, critic, journalist, and poet, who was an editor of influential journals in an age when the periodical was at the height of its power. He was also a friend and supporter of the poets Percy Bysshe Shelley and John Keats. Hunt’s poems, of which “Abou Ben Adhem” and his rondeau “Jenny Kissed Me” (both first published in 1838) are probably the best known, reflect his knowledge of French and Italian versification. His defense of Keats’s work in the Examiner (June 1817) as “poetry for its own sake” was an important anticipation of the views of the Aesthetic movement. Hunt, at his best, in some essays and his Autobiography (1850; in part a rewriting of Lord Byron and Some of His Contemporaries, 1828), has a distinctive charm. He excels in perceptive judgments of his contemporaries, from Keats to Alfred, Lord Tennyson. As a Radical journalist, though not much interested in the details of politics, he attacked oppression with indignation. The poems in Juvenilia (1801), his first volume, show his love for Italian literature. He looked to Italy for a “freer spirit of versification” and translated a great deal of Italian poetry, and in The Story of Rimini (1816), published in the year of his meeting with Keats, he reintroduced a freedom of movement in English couplet verse lost in the 18th century. From him Keats derived his delight in colour and imaginative sensual experience and a first acquaintance with Italian poetry. Much of Hunt’s best verse was published in Foliage (1818) and Hero and Leander, and Bacchus and Ariadne (1819). In 1808 Leigh Hunt and his brother John had launched the weekly Examiner, which advocated abolition of the slave trade, Catholic emancipation, and reform of Parliament and the criminal law. For their attacks on the unpopular prince regent, the brothers were imprisoned in 1813. Leigh Hunt, who continued to write The Examiner in prison, was regarded as a martyr in the cause of liberty. After his release (1815) he moved to Hampstead, home of Keats, whom he introduced in 1817 to Shelley, a friend since 1811. The Examiner supported the new Romantic poets against attacks by Blackwood’s Magazine on what it called “the Cockney school of poetry,” supposedly led by Hunt. In Hunt’s writings for the quarterly Reflector (1810–11), politics was combined with criticism of the theatre and of the fine arts, of which he had considerable knowledge. Imagination and Fancy (1844), his most sustained critical work, draws interesting parallels between painting and poetry. It was in the weekly Indicator (1819–21) and The Companion (1828), however, that Hunt published some of his best essays. He continued to write for periodicals until his death. born May 20, 1806, London, Eng. English philosopher, economist, and exponent of Utilitarianism. He was prominent as a publicist in the reforming age of the 19th century, and remains of lasting interest as a logician and an ethical theorist. 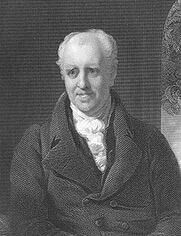 The eldest son of the British historian, economist, and philosopher James Mill, he was born in his father’s house in Pentonville, London. He was educated exclusively by his father, who was a strict disciplinarian. By his eighth year he had read in the original Greek Aesop’s Fables, Xenophon’s Anabasis, and the whole of the historian Herodotus. He was acquainted with the satirist Lucian, the historian of philosophy Diogenes Laërtius, the Athenian writer and educational theorist Isocrates, and six dialogues of Plato. He had also read a great deal of history in English. At the age of eight he started Latin, the geometry of Euclid, and algebra and began to teach the younger children of the family. His main reading was still history, but he went through all the Latin and Greek authors commonly read in the schools and universities and, by the age of 10 could read Plato and the Athenian statesman Demosthenes with ease. About the age of 12, he began a thorough study of Scholastic logic, at the same time reading Aristotle’s logical treatises in the original. In the following year he was introduced to political economy and studied the work of the Scottish political economist and philosopher Adam Smith and that of the English economist David Ricardo. While the training the younger Mill received has aroused amazement and criticism, its most important aspect was the close association it fostered with the strenuous character and vigorous intellect of his father. From his earliest days he spent much time in his father’s study and habitually accompanied him on his walks. He thus inevitably acquired many of his father’s speculative opinions and his father’s way of defending them. But he did not receive the impress passively and mechanically. The duty of collecting and weighing evidence for himself was at every turn impressed upon the boy. His childhood was not unhappy, but it was a strain on his constitution and he suffered from the lack of natural, unforced development. From May 1820 until July 1821, Mill was in France with the family of Sir Samuel Bentham, brother of Jeremy Bentham, the English Utilitarian philosopher, economist, and theoretical jurist. Copious extracts from a diary kept at this time show how methodically he read and wrote, studied chemistry and botany, tackled advanced mathematical problems, and made notes on the scenery and the people and customs of the country. He also gained a thorough acquaintance with the French language. On his return in 1821 he added to his work the study of psychology and of Roman law, which he read with John Austin, his father having half decided on the bar as the best profession open to him. This intention, however, was abandoned, and in 1823, when he had just completed his 17th year, he entered the examiner’s office of the India House. After a short probation he was promoted in 1828 to assistant examiner. For 20 years, from 1836 (when his father died) to 1856, Mill had charge of the British East India Company’s relations with the Indian states, and in 1856 he became chief of the examiner’s office. In 1822 Mill had read P.-E.-L. Dumont’s exposition of Bentham’s doctrines in the Traités de Législation, which made a lasting impression upon him. The impression was confirmed by the study of the English psychologists and also of two 18th-century French philosophers—Étienne Bonnot de Condillac, who was also a psychologist, and Claude-Adrien Helvétius, who was noted for his emphasis on physical sensations. Soon after, in 1822–23, Mill established among a few friends the Utilitarian Society, taking the word, as he tells us, from Annals of the Parish, a novel of Scottish country life by John Galt. Two newspapers welcomed his contributions—The Traveller, edited by a friend of Bentham’s, and The Morning Chronicle, edited by his father’s friend John Black. One of his first efforts was a solid argument for freedom of discussion in a series of letters to the Chronicle on the prosecution of Richard Carlile, a 19th-century English radical and freethinker. Mill seized every chance for exposing departures from sound principle in Parliament and courts of justice. Another outlet was opened up for him (April 1824) with the founding of the Westminster Review, which was the organ of the philosophical radicals. In 1825 he began work on an edition of Bentham’s Rationale of Judicial Evidence (5 vol., 1827). He took part eagerly in discussions with the many men of distinction who came to his father’s house and engaged in set discussions at a reading society formed at the home of English historian George Grote in 1825 and in debates at the London Debating Society, formed in the same year. The Autobiography tells how in 1826 Mill’s enthusiasm was checked by a misgiving as to the value of the ends that he had set before him. At the London Debating Society, where he first measured his strength in public conflict, he found himself looked upon with curiosity as a precocious phenomenon, a “made man,” an intellectual machine set to grind certain tunes. The elder Mill, like Plato, would have put poets under ban as enemies of truth; he subordinated private to public affections; and Landor’s maxims of “few acquaintances, fewer friends, no familiarities” had his cordial approval. The younger Mill now felt himself forced to abandon these doctrines. Too much in awe of his father to make him a confidant, he wrestled with his doubts in gloomy solitude. He emerged from the struggle with a more catholic view of human happiness, a delight in poetry for its own sake, a more placable attitude in controversy, a hatred of sectarianism, and an ambition no less noble and disinterested but moderated to practical possibilities. Gradually, the debates in the Debating Society attracted men with whom contact was invigorating and inspiring. Mill ceased to attend the society in 1829, but he carried away from it the conviction that a true system of political philosophy was something much more complex and many-sided than he had previously had any idea of, and that its office was to supply, not a set of model institutions but principles from which the institutions suitable to any given circumstances might be deduced. Mill’s letters in The Examiner in the autumn of 1830, after a visit to Paris, where he made the acquaintance of the younger liberals, may be taken as marking his return to hopeful activity; and a series of articles on “The Spirit of the Age” appeared in the same paper in 1831. During the years 1832 and 1833 he contributed many essays to Tait’s Magazine, The Jurist, and The Monthly Repository. In 1835 Sir William Molesworth founded The London Review, with Mill as editor. It was amalgamated with The Westminster (as The London and Westminster Review) in 1836, and Mill continued as editor (latterly as proprietor, also) until 1840. In and after 1840 he published several important articles in The Edinburgh Review. Some of the essays written for these journals were reprinted in the first two volumes (1859) of Mill’s Dissertations and Discussions and give evidence of the increasing width of his interests. Among the more important are “Thoughts on Poetry and Its Varieties” (1833), “Writings of Alfred de Vigny” (1838), “Bentham” (1838), “Coleridge” (1840), “M. De Tocqueville on Democracy in America” (1840), “Michelet’s History of France” (1844), and “Guizot’s Essays and Lectures on History” (1845). The twin essays on Bentham and Coleridge show Mill’s powers at their splendid best and indicate very clearly the new spirit that he tried to breathe into English radicalism. During these years Mill also wrote his great systematic works on logic and on political economy. His reawakened enthusiasm for humanity had taken shape as an aspiration to supply an unimpeachable method of proof for conclusions in moral and social science; the French positivist philosopher Auguste Comte had some influence here, but the main inspiration undoubtedly came from the English scientist and mathematician Sir Isaac Newton, whose physics had already been accepted as a model of scientific exposition by such earlier British philosophers as John Locke, David Hume, Jeremy Bentham, and James Mill. But he was determined that the new logic should not simply oppose the old logic. In his Westminster review (of 1828) of Richard Whately’s Elements of Logic, he was already defending the syllogism against the Scottish philosophers who had talked of superseding it by a supposed system of inductive logic. He required his inductive logic to “supplement and not supersede.” For several years he searched in vain for the means of concatenation. Finally, in 1837, on reading William Whewell’s Philosophy of the Inductive Sciences and rereading John F.W. Herschel’s Preliminary Discourse on the Study of Natural Philosophy, Mill at last saw his way clear both to formulating the methods of scientific investigation and to joining the new logic onto the old as a supplement. A System of Logic, in two volumes, was published in 1843 (3rd–8th editions, introducing many changes, 1851–72). Book VI is his valiant attempt to formulate a logic of the human sciences—including history, psychology, and sociology—based on causal explanation conceived in Humean terms, a formulation that has lately come in for radical criticism. Mill distinguished three stages in his development as a political economist. In 1844 he published the Essays on Some Unsettled Questions of Political Economy, which he had written several years earlier, and four out of five of these essays are solutions of perplexing technical problems—the distribution of the gains of international commerce, the influence of consumption on production, the definition of productive and unproductive labour, and the precise relations between profits and wages. Here for the most part Mill appears as the disciple of David Ricardo, striving after more precise statements and reaching forward to further consequences. In his second stage, originality and independence become more conspicuous as he struggles toward the standpoint from which he wrote his Principles of Political Economy. This was published in 1848 (2 vol. ; 2nd and 3rd eds., with significant differences, 1849, 1852), and, at about the same time, Mill was advocating the creation of peasant proprietorships as a remedy for the distresses and disorder in Ireland. Thereafter, he made a more thorough study of Socialist writers. He was convinced that the social question was as important as the political question. He declined to accept property, devised originally to secure peace in a primitive society, as necessarily sacred in its existing developments in a quite different stage of society. He separated questions of production and distribution and could not rest satisfied with the distribution that condemned the labouring classes to a cramped and wretched existence, in many cases to starvation. He did not come to a Socialist solution, but he had the great merit of having considered afresh the foundations of society. This he called his third stage as a political economist, and he says that he was helped toward it by Mrs. Taylor (Harriet Hardy), who became his wife in 1851. It is generally supposed that Mill writes with a lover’s extravagance about Harriet’s powers. He expressly says, indeed, that he owed none of his technical doctrine to her, that she influenced only his ideals of life for the individual and for society, and that the only work directly inspired by her is the essay on the “Enfranchisement of Women” (Dissertations, vol. 2). Nevertheless, Mill’s relations with her have always been something of a puzzle. During the seven years of his marriage Mill became increasingly absorbed in the work of the British East India Company and in consequence published less than at any other period of his life. In 1856 he became head of the examiner’s office in the India House, and for two years, till the dissolution of the company in 1858, his official work kept him fully occupied. It fell to him as head of the office to write the defense of the company’s government of India when the transfer of its powers was proposed. Mill opposed the transfer, and the documents in which he defended the company’s administration are models of trenchant and dignified pleading. On the dissolution of the company, Mill was offered a seat in the new council but declined it and retired with a pension of £1,500. His retirement from official life was followed almost immediately by his wife’s death at Avignon, France. He spent most of the rest of his life at a villa at Saint-Véran, near Avignon, returning to his house at Blackheath only for a short period in each year. Mill sought relief by publishing a series of books on ethics and politics that he had meditated upon and partly written in collaboration with his wife. The essay On Liberty appeared in 1859 with a touching dedication to her and the Thoughts on Parliamentary Reform in the same year. In his Considerations on Representative Government (1861) he systematized opinions already put forward in many casual articles and essays. It has been remarked how Mill combined enthusiasm for democratic government with pessimism as to what democracy was likely to do; practically every discussion in these books exemplifies this. His Utilitarianism (in Fraser’s Magazine, 1861; separate publication, 1863) was a closely reasoned attempt to answer objections to his ethical theory and to remove misconceptions about it. He was especially anxious to make it clear that he included in “utility” the pleasures of the imagination and the gratification of the higher emotions; and to make a place in his system for settled rules of conduct. Mill also began to write again on the wider philosophical questions that had occupied him in the Logic. In 1865 he published both his Examination of Sir William Hamilton’s Philosophy and his Auguste Comte and Positivism, but in both writings his motives were largely political. It was because he regarded the writings and sayings of Sir William Hamilton as the great fortress of intuitional philosophy in Great Britain that Mill undertook to counter his pretensions. In dealing with Comte, Mill distinguished sharply between Comte’s earlier philosophical doctrine of Positivism and his later religion of humanity. The doctrine he commended (as he had frequently done previously) because he regarded it as a natural development of the outlook of George Berkeley and Hume; the religion he attacked because he saw in it merely another attempt to foist a priestly hierarchy upon suffering humanity. It is noticeable that Mill’s language in these books is much closer to the language of Bentham and James Mill than it had been since his boyhood, and it was as an act of piety that in 1869 he republished his father’s Analysis of the Phenomena of the Human Mind with additional illustrations and explanatory notes. While engaged in these years mainly with theoretical studies, Mill did not remit his interest in current politics. He supported the North in the U.S. Civil War, using all his strength to explain that the real issue at stake in the struggle was the abolition of slavery. In 1865 he stood as parliamentary candidate for Westminster, on conditions strictly in accordance with his principles. He would not canvass or pay agents to canvass for him, nor would he engage to attend to the local business of the constituency. He was with difficulty persuaded even to address a meeting of the electors but was elected. He took an active part in the debates preceding the passage of the 1867 Reform Bill, and helped to extort from the government several useful modifications of the bill, for the prevention of corrupt practices. The reform of land tenure in Ireland (see his England and Ireland, 1868, and his Chapters and Speeches on the Irish Land Question, 1870), the representation of women (see below), the reduction of the national debt, the reform of London government, and the abrogation of the Declaration of Paris (1856)—concerning the carriage of property at sea during the Crimean War—were among the topics on which he spoke. He took occasion more than once to enforce what he had often advocated, England’s duty to intervene in foreign politics in support of freedom. As a speaker Mill was somewhat hesitating, but he showed great readiness in extemporaneous debate. Elected rector of St. Andrews University, he published his “Inaugural Address” in 1867. Mill’s subscription to the election expenses of the freethinker and radical politician Charles Bradlaugh and his attack on the conduct of Gov. E.J. Eyre in Jamaica were perhaps the main causes of his defeat in the general parliamentary election of 1868. But his studied advocacy of unfamiliar projects of reform had made him unpopular with “moderate Liberals.” He retired with a sense of relief to Avignon. His villa was filled with books and newspapers; the country round it furnished him with a variety of walks; he read, wrote, discussed, walked, botanized. He was extremely fond of music and was himself a fair pianist. His stepdaughter, Helen Taylor (died January 1907), was his constant companion after his wife’s death. Mill was an enthusiastic botanist all his life and a frequent contributor of notes and short papers to the Phytologist. During his last journey to Avignon he was looking forward to seeing the spring flowers and completing a flora of the locality. Mill did not relax his laborious habits or his ardent outlook on human affairs. The essays in the fourth volume of his Dissertations (1875; vol. 3 had appeared in 1867)—on endowments, on land, on labour, and on metaphysical and psychological questions—were written for the Fortnightly Review at intervals after his short parliamentary career. In 1867 he had been one of the founders, with Mrs. P.A. Taylor, Emily Davies, and others, of the first women’s suffrage society, which developed into the National Union of Women’s Suffrage Societies, and in 1869 he published The Subjection of Women (written 1861), the classical theoretical statement of the case for woman suffrage. His last public activity was concerned with the starting of the Land Tenure Reform Association, for which he wrote in The Examiner and made a public speech a few months before his death; the interception by the state of the unearned increment on land and the promotion of cooperative agriculture were the most striking features in his program, which he regarded as a timely compromise in view of the impending struggle between capital and labour in Europe. He died in 1873, and his Autobiography and Three Essays on Religion (1874) were published posthumously. A bronze statue of Mill stands on the Thames embankment in London, and G.F. Watts’s copy of his original portrait of Mill hangs in the National Gallery there. Mill was a man of extreme simplicity in his mode of life. The influence that his works exercised upon contemporary English thought can scarcely be overestimated, nor can there be any doubt about the value of the liberal and inquiring spirit with which he handled the great questions of his time. Beyond that, however, there has been considerable difference of opinion about the enduring merits of his philosophy. At first sight he is the most lucid of philosophers. Many people have spoken of the marvelous intelligibility of his writing. Usually, however, it is not long before doubts begin to creep in. Although the lucidity remains, its span is seen to be somewhat limited, and one sometimes has the uneasy feeling that he is being equally lucid on both sides of a question. Oddly enough, however, this judgment has not led to any neglect of Mill. Little attention is now paid to Hamilton or to Whewell, but Mill’s name continually crops up in philosophical discussions. This is partly due to the fact that Mill offers a body of doctrine and a set of technical terms on many subjects (notably on induction) that have proved extremely useful in the classroom. But a more important reason is that he has come to be regarded as a sort of personification of certain tendencies in philosophy that it is regarded as continually necessary to expound or expose because they make such a powerful appeal to serious minds. Thus he is or says he is a Utilitarian; yet nothing, it is pointed out, could tell more strongly against Utilitarianism than certain passages in his writings. Then again, he is said to be an Empiricist (although he says himself that he is not), and his theories of the syllogism and of mathematics are constantly used to demonstrate the fatal consequences of this way of thinking. It is misleading to speak without qualification of Mill’s Utilitarianism. Nor is it sufficient to add that Mill modified the Utilitarianism that he inherited from Bentham and from his father in one way and another in order to meet the criticisms that it encountered in Victorian times. He does, it is true, sometimes give that impression (as in his essay Utilitarianism); but elsewhere (as in his essay On Liberty) he scarcely attempts to conceal the fact that his premises are completely independent of Bentham’s. Thus, contrary to the common belief, it appears to be very hazardous to characterize offhand the precise position of Mill on any major philosophical topic. He sometimes behaved with a reckless disregard of consequences more suitable to a Romantic than to a Utilitarian. He is thoroughly romantic, again, and thoroughly representative of his age in the eagerness with which he seeks out and endeavours to assimilate every last exotic line of thought which shows any signs of vitality. He himself claimed to be superior to most of his contemporaries in “ability and willingness to learn from everybody,” and indeed, for all his father’s careful schooling, there was never anybody less buttoned up against alien influences than Mill. In his writings there can be discerned traces of every wind of doctrine of the early 19th century. Useful as it is to trace the common elements in Romantic poetry, there was little conformity among the poets themselves. It is misleading to read the poetry of the first Romantics as if it had been written primarily to express their feelings. Their concern was rather to change the intellectual climate of the age. 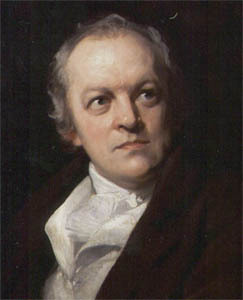 William Blake had been dissatisfied since boyhood with the current state of poetry and what he considered the irreligious drabness of contemporary thought. His early development of a protective shield of mocking humour with which to face a world in which science had become trifling and art inconsequential is visible in the satirical An Island in the Moon (written c. 1784–85); he then took the bolder step of setting aside sophistication in the visionary Songs of Innocence (1789). His desire for renewal encouraged him to view the outbreak of the French Revolution as a momentous event. In works such as The Marriage of Heaven and Hell (1790–93) and Songs of Experience (1794), he attacked the hypocrisies of the age and the impersonal cruelties resulting from the dominance of analytic reason in contemporary thought. 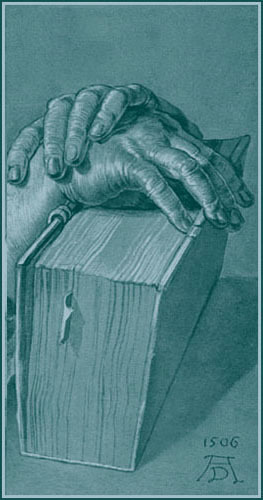 As it became clear that the ideals of the Revolution were not likely to be realized in his time, he renewed his efforts to revise his contemporaries’ view of the universe and to construct a new mythology centred not in the God of the Bible but in Urizen, a repressive figure of reason and law whom he believed to be the deity actually worshipped by his contemporaries. The story of Urizen’s rise was set out in The First Book of Urizen (1794) and then, more ambitiously, in the unfinished manuscript Vala (later redrafted as The Four Zoas), written from about 1796 to about 1807. 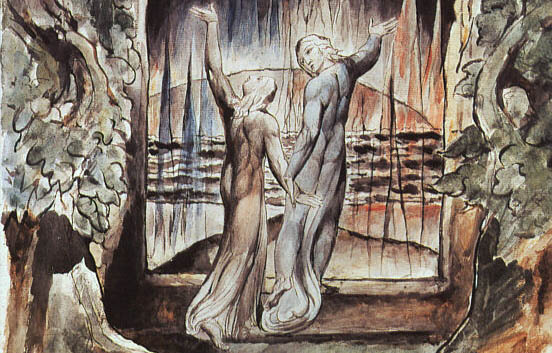 Blake developed these ideas in the visionary narratives of Milton (1804–08) and Jerusalem (1804–20). Here, still using his own mythological characters, he portrayed the imaginative artist as the hero of society and suggested the possibility of redemption from the fallen (or Urizenic) condition. born Nov. 28, 1757, London, Eng. English engraver, artist, poet, and visionary, author of exquisite lyrics in Songs of Innocence (1789) and Songs of Experience (1794) and profound and difficult “prophecies,” such as Visions of the Daughters of Albion (1793), The First Book of Urizen (1794), Milton (1804[–?11]), and Jerusalem (1804[–?20]). The dating of Blake’s texts is explained in the Researcher’s Note: Blake publication dates. These works he etched, printed, coloured, stitched, and sold, with the assistance of his devoted wife, Catherine. Among his best known lyrics today are The Lamb, The Tyger, London, and the Jerusalem lyric from Milton, which has become a kind of second national anthem in Britain. In the early 21st century, Blake was regarded as the earliest and most original of the Romantic poets, but in his lifetime he was generally neglected or (unjustly) dismissed as mad. Blake was a religious seeker but not a joiner. He was profoundly influenced by some of the ideas of Swedish theologian Emanuel Swedenborg, and in April 1789 he attended the general conference of the New Church (which had been recently founded by followers of Swedenborg) in London. Blake’s poem The Divine Image (from Songs of Innocence) is implicitly Swedenborgian, and he said that he based his design called The Spiritual Preceptor (1809) on the theologian’s book True Christian Religion. He soon decided, however, that Swedenborg was a “Spiritual Predestinarian,” as he wrote in his copy of Swedenborg’s Wisdom of Angels Concerning the Divine Providence (1790), and that the New Church was as subject to “Priestcraft” as the Church of England. Most of his large commissions thereafter were for watercolours rather than engravings. For John Flaxman, he painted 116 designs illustrating Thomas Gray’s poems (1797–98); for his faithful patron Thomas Butts, a functionary in the office of the Commissary General of [Military] Musters, he created 135 temperas (1799–1800) and watercolours (1800–1809) illustrating the Bible; and he executed 8 watercolours (1801?) for Milton’s Comus, 6 for Shakespeare (1806 and 1809), 12 for Paradise Lost (1807), and 6 for Milton’s ode On the Morning of Christ’s Nativity (1809), all for the Rev. Joseph Thomas of Epsom, not far from the village of Felpham (where Blake lived for a while). Later Butts commissioned 12 watercolours for Milton’s L’Allegro and Il Penseroso (1816?) and 12 for Paradise Regained (c. 1816–20); Linnell had Blake create 6 watercolours for the Book of Enoch (1824–27), plus 102 illustrations for Dante (1824–27) and 11 for what began as an illuminated Genesis manuscript (1826–27); 29 unfinished watercolours (1824–27) for John Bunyan’s Pilgrim’s Progress were still in Blake’s possession at his death. Blake also drew scores of “Visionary Heads” (1818–25) of the mighty or notorious dead, which were fostered and often commissioned by the artist and astrologer John Varley. 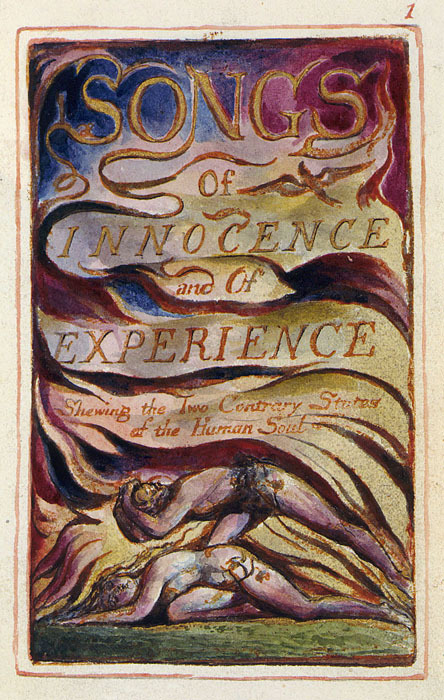 In the same year as Europe, Blake published Songs of Experience and combined it with his previous lyrics to form Songs of Innocence and of Experience Shewing the Two Contrary States of the Human Soul. The poems of Songs of Experience centre on threatened, unprotected souls in despair. In London the speaker, shown in the design as blind, bearded, and “age-bent,” sees in “every face…marks of woe,” and observes that “In every voice…The mind-forg’d manacles I hear.” In The Tyger, which answers The Lamb of Innocence, the despairing speaker asks the “Tyger burning bright” about its creator: “Did he who made the Lamb make thee?” But in the design the “deadly terrors” of the text are depicted as a small, meek animal often coloured more like a stuffed toy than a jungle beast. William Wordsworth and Samuel Taylor Coleridge, meanwhile, were also exploring the implications of the French Revolution. Wordsworth, who lived in France in 1791–92 and fathered an illegitimate child there, was distressed when, soon after his return, Britain declared war on the republic, dividing his allegiance. For the rest of his career, he was to brood on those events, trying to develop a view of humanity that would be faithful to his twin sense of the pathos of individual human fates and the unrealized potentialities in humanity as a whole. The first factor emerges in his early manuscript poems The Ruined Cottage and The Pedlar (both to form part of the later Excursion); the second was developed from 1797, when he and his sister, Dorothy Wordsworth, with whom he was living in the west of England, were in close contact with Coleridge. Stirred simultaneously by Dorothy’s immediacy of feeling, manifested everywhere in her Journals (written 1798–1803, published 1897), and by Coleridge’s imaginative and speculative genius, he produced the poems collected in Lyrical Ballads (1798). The volume began with Coleridge’s The Rime of the Ancient Mariner, continued with poems displaying delight in the powers of nature and the humane instincts of ordinary people, and concluded with the meditative Lines Written a Few Miles Above Tintern Abbey, Wordsworth’s attempt to set out his mature faith in nature and humanity. His investigation of the relationship between nature and the human mind continued in the long autobiographical poem addressed to Coleridge and later titled The Prelude (1798–99 in two books; 1804 in five books; 1805 in 13 books; revised continuously and published posthumously, 1850). Here he traced the value for a poet of having been a child “fostered alike by beauty and by fear” by an upbringing in sublime surroundings. The Prelude constitutes the most significant English expression of the Romantic discovery of the self as a topic for art and literature. The poem also makes much of the work of memory, a theme explored as well in the Ode: Intimations of Immortality from Recollections of Early Childhood. In poems such as Michael and The Brothers, by contrast, written for the second volume of Lyrical Ballads (1800), Wordsworth dwelt on the pathos and potentialities of ordinary lives. The work of both poets was directed back to national affairs during these years by the rise of Napoleon. In 1802 Wordsworth dedicated a number of sonnets to the patriotic cause. The death in 1805 of his brother John, who was a captain in the merchant navy, was a grim reminder that, while he had been living in retirement as a poet, others had been willing to sacrifice themselves. From this time the theme of duty was to be prominent in his poetry. His political essay Concerning the Relations of Great Britain, Spain and Portugal…as Affected by the Convention of Cintra (1809) agreed with Coleridge’s periodical The Friend (1809–10) in deploring the decline of principle among statesmen. When The Excursion appeared in 1814 (the time of Napoleon’s first exile), Wordsworth announced the poem as the central section of a longer projected work, The Recluse, “a philosophical Poem, containing views of Man, Nature, and Society.” The plan was not fulfilled, however, and The Excursion was left to stand in its own right as a poem of moral and religious consolation for those who had been disappointed by the failure of French revolutionary ideals. Both Wordsworth and Coleridge benefited from the advent in 1811 of the Regency, which brought a renewed interest in the arts. Coleridge’s lectures on Shakespeare became fashionable, his play Remorse was briefly produced, and his volume of poems Christabel; Kubla Khan: A Vision; The Pains of Sleep was published in 1816. Biographia Literaria (1817), an account of his own development, combined philosophy and literary criticism in a new way and made an enduring and important contribution to literary theory. 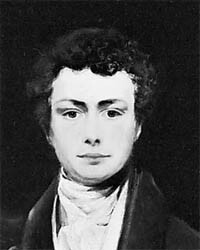 Coleridge settled at Highgate in 1816, and he was sought there as “the most impressive talker of his age” (in the words of the essayist William Hazlitt). His later religious writings made a considerable impact on Victorian readers. born April 7, 1770, Cockermouth, Cumberland, Eng. 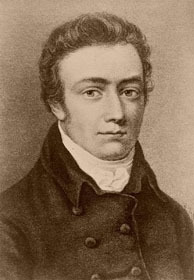 English poet whose Lyrical Ballads (1798), written with Samuel Taylor Coleridge, helped launch the English Romantic movement. The three or four years that followed his return to England were the darkest of Wordsworth’s life. Unprepared for any profession, rootless, virtually penniless, bitterly hostile to his own country’s opposition to the French, he lived in London in the company of radicals like William Godwin and learned to feel a profound sympathy for the abandoned mothers, beggars, children, vagrants, and victims of England’s wars who began to march through the sombre poems he began writing at this time. This dark period ended in 1795, when a friend’s legacy made possible Wordsworth’s reunion with his beloved sister Dorothy—the two were never again to live apart—and their move in 1797 to Alfoxden House, near Bristol. There Wordsworth became friends with a fellow poet, Samuel Taylor Coleridge, and they formed a partnership that would change both poets’ lives and alter the course of English poetry. Their partnership, rooted in one marvelous year (1797–98) in which they “together wantoned in wild Poesy,” had two consequences for Wordsworth. First it turned him away from the long poems on which he had laboured since his Cambridge days. These included poems of social protest like Salisbury Plain, loco-descriptive poems such as An Evening Walk and Descriptive Sketches (published in 1793), and The Borderers, a blank-verse tragedy exploring the psychology of guilt (and not published until 1842). Stimulated by Coleridge and under the healing influences of nature and his sister, Wordsworth began in 1797–98 to compose the short lyrical and dramatic poems for which he is best remembered by many readers. Some of these were affectionate tributes to Dorothy, some were tributes to daffodils, birds, and other elements of “Nature’s holy plan,” and some were portraits of simple rural people intended to illustrate basic truths of human nature. Many of these short poems were written to a daringly original program formulated jointly by Wordsworth and Coleridge, and aimed at breaking the decorum of Neoclassical verse. These poems appeared in 1798 in a slim, anonymously authored volume entitled Lyrical Ballads, which opened with Coleridge’s long poem “The Rime of the Ancient Mariner” and closed with Wordsworth’s “Tintern Abbey.” All but three of the intervening poems were Wordsworth’s, and, as he declared in a preface to a second edition two years later, their object was “to choose incidents and situations from common life and to relate or describe them . . . in a selection of language really used by men, . . . tracing in them . . . the primary laws of our nature.” Most of the poems were dramatic in form, designed to reveal the character of the speaker. The manifesto and the accompanying poems thus set forth a new style, a new vocabulary, and new subjects for poetry, all of them foreshadowing 20th-century developments. In the company of Dorothy, Wordsworth spent the winter of 1798–99 in Germany, where, in the remote town of Goslar, in Saxony, he experienced the most intense isolation he had ever known. As a consequence, however, he wrote some of his most moving poetry, including the “Lucy” and “Matthew” elegies and early drafts toward The Prelude. Upon his return to England, Wordsworth incorporated several new poems in the second edition of Lyrical Ballads (1800), notably two tragic pastorals of country life, “The Brothers” and “Michael.” These poems, together with the brilliant lyrics that were assembled in Wordsworth’s second verse collection, Poems, in Two Volumes (1807), help to make up what is now recognized as his great decade, stretching from his meeting with Coleridge in 1797 until 1808.
born Oct. 21, 1772, Ottery St. Mary, Devonshire, Eng. English lyrical poet, critic, and philosopher. His Lyrical Ballads, written with William Wordsworth, heralded the English Romantic movement, and his Biographia Literaria (1817) is the most significant work of general literary criticism produced in the English Romantic period. Coleridge’s father was vicar of Ottery and headmaster of the local grammar school. As a child Coleridge was already a prodigious reader, and he immersed himself to the point of morbid fascination in romances and Eastern tales such as The Arabian Nights’ Entertainments. In 1781 his father died suddenly, and in the following year Coleridge entered Christ’s Hospital in London, where he completed his secondary education. In 1791 he entered Jesus College, Cambridge. At both school and university he continued to read voraciously, particularly in works of imagination and visionary philosophy, and he was remembered by his schoolmates for his eloquence and prodigious memory. In his third year at Cambridge, oppressed by financial difficulties, he went to London and enlisted as a dragoon under the assumed name of Silas Tomkyn Comberbache. Despite his unfitness for the life, he remained until discovered by his friends; he was then bought out by his brothers and restored to Cambridge. On his return, he was restless. The intellectual and political turmoil surrounding the French Revolution had set in motion intense and urgent discussion concerning the nature of society. Coleridge now conceived the design of circumventing the disastrous violence that had destroyed the idealism of the French Revolution by establishing a small society that should organize itself and educate its children according to better principles than those obtaining in the society around them. A chance meeting with the poet Robert Southey led the two men to plan such a “pantisocracy” and to set up a community by the Susquehanna River in Pennsylvania. To this end Coleridge left Cambridge for good and set up with Southey as a public lecturer in Bristol. In October 1795 he married Sara Fricker, daughter of a local schoolmistress, swayed partly by Southey’s suggestion that he was under an obligation to her since she had been refusing the advances of other men. Shortly afterward, Southey defected from the pantisocratic scheme, leaving Coleridge married to a woman whom he did not really love. In a sense his career never fully recovered from this blow: if there is a makeshift quality about many of its later events, one explanation can be found in his constant need to reconcile his intellectual aspirations with the financial needs of his family. During this period, however, Coleridge’s intellect flowered in an extraordinary manner, as he embarked on an investigation of the nature of the human mind, joined by William Wordsworth, with whom he had become acquainted in 1795. Together they entered upon one of the most influential creative periods of English literature. Coleridge’s intellectual ebullience and his belief in the existence of a powerful “life consciousness” in all individuals rescued Wordsworth from the depression into which recent events had cast him and made possible the new approach to nature that characterized his contributions to Lyrical Ballads (which was to be published in 1798). Coleridge, meanwhile, was developing a new, informal mode of poetry in which he could use a conversational tone and rhythm to give unity to a poem. Of these poems, the most successful is “Frost at Midnight,” which begins with the description of a silent frosty night in Somerset and proceeds through a meditation on the relationship between the quiet work of frost and the quiet breathing of the sleeping baby at the poet’s side, to conclude in a resolve that his child shall be brought up as a “child of nature,” so that the sympathies that the poet has come to detect may be reinforced throughout the child’s education. Coleridge’s attempts to learn this “language” and trace it through the ancient traditions of mankind also led him during this period to return to the visionary interests of his schooldays: as he ransacked works of comparative religion and mythology, he was exploring the possibility that all religions and mythical traditions, with their general agreement on the unity of God and the immortality of the soul, sprang from a universal life consciousness, which was expressed particularly through the phenomena of human genius. While these speculations were at their most intense, he retired to a lonely farmhouse near Culbone, Somersetshire, and, according to his own account, composed under the influence of laudanum the mysterious poetic fragment known as “Kubla Khan.” The exotic imagery and rhythmic chant of this poem have led many critics to conclude that it should be read as a “meaningless reverie” and enjoyed merely for its vivid and sensuous qualities. An examination of the poem in the light of Coleridge’s psychological and mythological interests, however, suggests that it has, after all, a complex structure of meaning and is basically a poem about the nature of human genius. The first two stanzas show the two sides of what Coleridge elsewhere calls “commanding genius”: its creative aspirations in time of peace as symbolized in the projected pleasure dome and gardens of the first stanza; and its destructive power in time of turbulence as symbolized in the wailing woman, the destructive fountain, and the voices prophesying war of the second stanza. In the final stanza the poet writes of a state of “absolute genius” in which, if inspired by a visionary “Abyssinian maid,” he would become endowed with the creative, divine power of a sun god—an Apollo or Osiris subduing all around him to harmony by the fascination of his spell. Coleridge was enabled to explore the same range of themes less egotistically in “The Rime of the Ancient Mariner,” composed during the autumn and winter of 1797–98. For this, his most famous poem, he drew upon the ballad form. The main narrative tells how a sailor who has committed a crime against the life principle by slaying an albatross suffers from torments, physical and mental, in which the nature of his crime is made known to him. The underlying life power against which he has transgressed is envisaged as a power corresponding to the influx of the sun’s energy into all living creatures, thereby binding them together in a joyful communion. By killing the bird that hovered near the ship, the mariner has destroyed one of the links in this process. His own consciousness is consequently affected: the sun, previously glorious, is seen as a bloody sun, and the energies of the deep are seen as corrupt. The very deep did rot; O Christ! Only at night do these energies display a sinister beauty. After the death of his shipmates, alone and becalmed, devoid of a sense of movement or even of time passing, the mariner is in a hell created by the absence of any link with life. Eventually, however, a chance sight of water snakes flashing like golden fire in the darkness, answered by an outpouring of love from his heart, reinitiates the creative process: he is given a brief vision of the inner unity of the universe, in which all living things hymn their source in an interchange of harmonies. Restored to his native land, he remains haunted by what he has experienced but is at least delivered from nightmare, able to see the ordinary processes of human life with a new sense of their wonder and mercifulness. These last qualities are reflected in the poem’s attractive combination of vividness and sensitivity. The placing of it at the beginning of Lyrical Ballads was evidently intended to provide a context for the sense of wonder in common life that marks many of Wordsworth’s contributions. While this volume was going through the press, Coleridge began a complementary poem, a Gothic ballad entitled “Christabel,” in which he aimed to show how naked energy might be redeemed through contact with a spirit of innocent love. At this time the brothers Josiah and Thomas Wedgwood, who were impressed by Coleridge’s intelligence and promise, offered him in 1798 an annuity of £150 as a means of subsistence while he pursued his intellectual concerns. He used his new independence to visit Germany with Wordsworth and Wordsworth’s sister, Dorothy. While there Coleridge attended lectures on physiology and biblical criticism at Göttingen. He thus became aware of developments in German scholarship that were little-known in England until many years later. On his return to England, the tensions of his marriage were exacerbated when he fell in love with Sara Hutchinson, the sister of Wordsworth’s future wife, at the end of 1799. His devotion to the Wordsworths in general did little to help matters, and for some years afterward Coleridge was troubled by domestic strife, accompanied by the worsening of his health and by his increasing dependence on opium. His main literary achievements during the period included another section of “Christabel.” In 1802 Coleridge’s domestic unhappiness gave rise to “Dejection: An Ode,” originally a longer verse letter sent to Sara Hutchinson in which he lamented the corrosive effect of his intellectual activities when undertaken as a refuge from the lovelessness of his family life. The poem employs the technique of his conversational poems; the sensitive rhythms and phrasing that he had learned to use in them are here masterfully deployed to represent his own depressed state of mind. Although Coleridge hoped to combine a platonic love for Sara with fidelity to his wife and children and to draw sustenance from the Wordsworth household, his hopes were not realized, and his health deteriorated further. He therefore resolved to spend some time in a warmer climate and, late in 1804, accepted a post in Malta as secretary to the acting governor. Later he spent a long time journeying across Italy, but, despite his hopes, his health did not improve during his time abroad. The time spent in Malta had been a time of personal reappraisal, however. Brought into direct contact with men accustomed to handling affairs of state, he had found himself lacking an equal forcefulness and felt that in consequence he often forfeited the respect of others. On his return to England he resolved to become more manly and decisive. Within a few months he had finally decided to separate from his wife and to live for the time being with the Wordsworths. Southey atoned for his disastrous youthful advice by exercising a general oversight of Coleridge’s family for the rest of his days. Coleridge published a periodical, The Friend, from June 1809 to March 1810 and ceased only when Sara Hutchinson, who had been acting as amanuensis, found the strain of the relationship too much for her and retired to her brother’s farm in Wales. Coleridge, resentful that Wordsworth should apparently have encouraged his sister-in-law’s withdrawal, resolved shortly afterward to terminate his working relationship with William and Dorothy Wordsworth and to settle in London again. The period immediately following was the darkest of his life. His disappointment with Wordsworth was followed by anguish when a wounding remark of Wordsworth’s was carelessly reported to him. For some time he remained in London, nursing his grievances and producing little. Opium retained its powerful hold on him, and the writings that survive from this period are redolent of unhappiness, with self-dramatization veering toward self-pity. In spite of this, however, there also appear signs of a slow revival, principally because for the first time Coleridge knew what it was to be a fashionable figure. A course of lectures he delivered during the winter of 1811–12 attracted a large audience; for many years Coleridge had been fascinated by William Shakespeare’s achievement, and his psychological interpretations of the chief characters were new and exciting to his contemporaries. During this period, Coleridge’s play Osorio, written many years before, was produced at Drury Lane with the title Remorse in January 1813. In the end, consolation came from an unexpected source. In dejection, unable to produce extended work or break the opium habit, he spent a long period with friends in Wiltshire, where he was introduced to Archbishop Robert Leighton’s commentary on the First Letter of Peter. In the writings of this 17th-century divine, he found a combination of tenderness and sanctity that appealed deeply to him and seemed to offer an attitude to life that he himself could fall back on. The discovery marks an important shift of balance in his intellectual attitudes. Christianity, hitherto one point of reference for him, now became his “official” creed. By aligning himself with the Anglican church of the 17th century at its best, he hoped to find a firm point of reference that would both keep him in communication with orthodox Christians of his time (thus giving him the social approval he always needed, even if only from a small group of friends) and enable him to pursue his former intellectual explorations in the hope of reaching a Christian synthesis that might help to revitalize the English church both intellectually and emotionally. One effect of the adoption of this basis for his intellectual and emotional life was a sense of liberation and an ability to produce large works again. He drew together a collection of his poems (published in 1817 as Sibylline Leaves) and wrote Biographia Literaria (1817), a rambling and discursive but highly stimulating and influential work in which he outlined the evolution of his thought and developed an extended critique of Wordsworth’s poems. For the general reader Biographia Literaria is a misleading volume, since it moves bewilderingly between autobiography, abstruse philosophical discussion, and literary criticism. It has, however, an internal coherence of its own. The book’s individual components—first an entertaining account of Coleridge’s early life, then an account of the ways in which he became dissatisfied with the associationist theories of David Hartley and other 18th-century philosophers, then a reasoned critique of Wordsworth’s poems—are fascinating. Over the whole work hovers Coleridge’s veneration for the power of imagination: once this key is grasped, the unity of the work becomes evident. A new dramatic piece, Zapolya, was also published in 1817. In the same year, Coleridge became associated for a time with the new Encyclopaedia Metropolitana, for which he planned a novel system of organization, outlined in his Prospectus. These were more settled years for Coleridge. Since 1816 he had lived in the house of James Gillman, a surgeon at Highgate, north of London. His election as a fellow of the Royal Society of Literature in 1824 brought him an annuity of £105 and a sense of recognition. In 1830 he joined the controversy that had arisen around the issue of Catholic Emancipation by writing his last prose work, On the Constitution of the Church and State. The third edition of Coleridge’s Poetical Works appeared in time for him to see it before his final illness and death in 1834. Coleridge’s achievement has been given more widely varying assessments than that of any other English literary artist, though there is broad agreement that his enormous potential was never fully realized in his works. His stature as a poet has never been in doubt; in “Kubla Khan” and “The Rime of the Ancient Mariner” he wrote two of the greatest poems in English literature and perfected a mode of sensuous lyricism that is often echoed by later poets. But he also has a reputation as one of the most important of all English literary critics, largely on the basis of his Biographia Literaria. In Coleridge’s view, the essential element of literature was a union of emotion and thought that he described as imagination. He especially stressed poetry’s capacity for integrating the universal and the particular, the objective and the subjective, the generic and the individual. The function of criticism for Coleridge was to discern these elements and to lift them into conscious awareness, rather than merely to prescribe or to describe rules or forms. In all his roles, as poet, social critic, literary critic, theologian, and psychologist, Coleridge expressed a profound concern with elucidating an underlying creative principle that is fundamental to both human beings and the universe as a whole. To Coleridge, imagination is the archetype of this unifying force because it represents the means by which the twin human capacities for intuitive, non-rational understanding and for organizing and discriminating thought concerning the material world are reconciled. It was by means of this sort of reconciliation of opposites that Coleridge attempted, with considerable success, to combine a sense of the universal and ideal with an acute observation of the particular and sensory in his own poetry and in his criticism. Thomas De Quincey’s biography on Samuel Taylor Coleridge appeared in the eighth edition of the Encyclopædia Britannica (see the Britannica Classic: Samuel Taylor Coleridge). born Dec. 25, 1771, Cockermouth, Cumberland, Eng. English prose writer whose Alfoxden Journal 1798 and Grasmere Journals 1800–03 are read today for the imaginative power of their description of nature and for the light they throw on her brother, the Romantic poet William Wordsworth. Their mother’s death in 1778 separated Dorothy from her brothers, and from 1783 they were without a family home. The sympathy between William and Dorothy was strong; she understood him as no one else could and provided the “quickening influence” he needed. When in 1795 he was lent a house in Dorset, she made a home for him there. At Alfoxden, Somerset, in 1796–98, she enjoyed with Wordsworth and Samuel Taylor Coleridge a companionship of “three persons with one soul.” She went with them to Germany (1798–99), and in December 1799 she and William settled for the first time in a home of their own, Dove Cottage, Grasmere, in the Lake District, remaining there after his marriage (1802) and moving with the family to Rydal Mount in 1813. In 1829 she was dangerously ill and thenceforth was obliged to lead the life of an invalid. Her ill health affected her intellect, and during the last 20 years of her life her mind was clouded. The Alfoxden Journal (of which only the period from January to April 1798 survives) is a record of William’s friendship with Coleridge that resulted in their Lyrical Ballads (1798), with which the Romantic movement began. The Grasmere Journals contains material on which William drew for his poetry (notably her description of daffodils in April 1802, which inspired his I Wandered Lonely as a Cloud). Her other surviving journals include accounts of her trip to Germany in 1798–99 as well as visits to Scotland (1803) and Switzerland (1820). None of her writings was published in her lifetime. In his own lifetime, Blake’s poetry was scarcely known. Sir Walter Scott, by contrast, was thought of as a major poet for his vigorous and evocative verse narratives The Lay of the Last Minstrel (1805) and Marmion (1808). Other verse writers were also highly esteemed. The Elegiac Sonnets (1784) of Charlotte Smith and the Fourteen Sonnets (1789) of William Lisle Bowles were received with enthusiasm by Coleridge. Thomas Campbell is now chiefly remembered for his patriotic lyrics such as Ye Mariners of England and The Battle of Hohenlinden (1807) and for the critical preface to his Specimens of the British Poets (1819); Samuel Rogers was known for his brilliant table talk (published 1856, after his death, as Recollections of the Table-Talk of Samuel Rogers), as well as for his exquisite but exiguous poetry. Another admired poet of the day was Thomas Moore, whose Irish Melodies began to appear in 1808. His highly coloured narrative Lalla Rookh: An Oriental Romance (1817) and his satirical poetry were also immensely popular. Charlotte Smith was not the only significant woman poet in this period. Helen Maria Williams’s Poems (1786), Ann Batten Cristall’s Poetical Sketches (1795), Mary Robinson’s Sappho and Phaon (1796), and Mary Tighe’s Psyche (1805) all contain notable work. 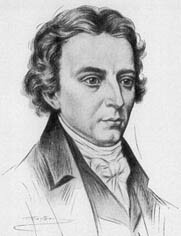 Robert Southey was closely associated with Wordsworth and Coleridge and was looked upon as a prominent member, with them, of the “Lake school” of poetry. His originality is best seen in his ballads and his nine “English Eclogues,” three of which were first published in the 1799 volume of his Poems with a prologue explaining that these verse sketches of contemporary life bore “no resemblance to any poems in our language.” His “Oriental” narrative poems Thalaba the Destroyer (1801) and The Curse of Kehama (1810) were successful in their own time, but his fame is based on his prose work—the Life of Nelson (1813), the History of the Peninsular War (1823–32), and his classic formulation of the children’s tale The Three Bears. George Crabbe wrote poetry of another kind: his sensibility, his values, much of his diction, and his heroic couplet verse form belong to the 18th century. He differs from the earlier Augustans, however, in his subject matter, concentrating on realistic, unsentimental accounts of the life of the poor and the middle classes. He shows considerable narrative gifts in his collections of verse tales (in which he anticipates many short-story techniques) and great powers of description. His antipastoral The Village appeared in 1783. After a long silence, he returned to poetry with The Parish Register (1807), The Borough (1810), Tales in Verse (1812), and Tales of the Hall (1819), which gained him great popularity in the early 19th century. English poet, critic, and clergyman, noted principally for his Fourteen Sonnets (1789), which expresses with simple sincerity the thoughts and feelings inspired in a mind of delicate sensibility by the contemplation of natural scenes. 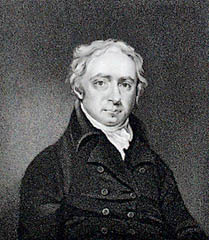 Bowles was educated at Trinity College, Oxford, where he was a pupil of Thomas Warton, and became an Anglican priest in 1792. His Fourteen Sonnets was enthusiastically received by the early Romantic poets, whose theory and practice it foreshadowed, and the work particularly influenced Samuel Taylor Coleridge. By 1794 the collection had been enlarged to 27 sonnets and 13 other poems. Bowles also published verse on political and religious topics: The Missionary (1813) is an attack on Spanish rule in South America. Days Departed; or, Banwell Hill (1828) is an eloquently reflective prospect poem (a subgenre of topographical poetry that considers a particular landscape as viewed from an elevated perspective). As a critic, Bowles is remembered for his assertion that natural objects and basic passions are intrinsically more poetic than are artificial products or mannered feelings. 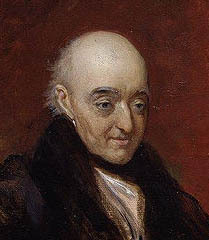 This attitude may have influenced Bowles’s annotated 1806 edition of the works of Alexander Pope, in which, under a mask of judicial impartiality, Bowles attacked the great poet’s moral character and poetic principles. So began the pamphlet war known as the “Pope-Bowles controversy,” in which Pope’s chief defenders were Thomas Campbell and Lord Byron; Byron’s characterization of Bowles as “the maudlin prince of mournful sonneteers” is perhaps the only memorable remnant of this seven-year-long (1819–26) public argument. born July 27, 1777, Glasgow, Scot. Scottish poet, remembered chiefly for his sentimental and martial lyrics; he was also one of the initiators of a plan to found what became the University of London. Campbell went to Mull, an island of the Inner Hebrides, as a tutor in 1795 and two years later settled in Edinburgh to study law. In 1799 he wrote The Pleasures of Hope, a traditional 18th-century survey in heroic couplets of human affairs. It went through four editions within a year. He also produced several stirring patriotic war songs—“Ye Mariners of England,” “The Soldier’s Dream,” “Hohenlinden,” and, in 1801, “The Battle of the Baltic.” With others he launched a movement in 1825 to found the University of London, for students excluded from Oxford or Cambridge by religious tests or lack of funds. English poet, best remembered as a witty conversationalist and as a friend of greater poets. Rogers attained eminence with the publication of his popular discursive poem The Pleasures of Memory (1792). On his father’s death (1793) he inherited a banking firm, and for the next half century he maintained an influential position as a leading figure in London society and as a generous host to brilliant company. His acquisition of paintings and objets d’art made his home a centre for anyone ambitious to be thought a man of taste. The amusing, though often unkind, conversations held at his breakfast and dinner parties were recorded by Alexander Dyce and published as Recollections of the Table-Talk of Samuel Rogers (1856; edited by Morchard Bishop, 1952). In spite of his sharp tongue, he performed many kind offices for his friends. He aided Richard Sheridan in his dying days and helped to secure a pension for Henry Cary, translator of Dante. He secured a position for William Wordsworth as distributor of stamps for Westmorland. He also continued to write poetry, including an epic, The Voyage of Columbus (1810); a collection of verse tales, Italy (1822–28); and a miscellaneous collection titled Poems (1834). In his own lifetime, his poetry was widely admired. On Wordsworth’s death, in 1850, Rogers was offered the laureateship, which he refused. born May 28, 1779, Dublin, Ire. died Feb. 25, 1852, Wiltshire, Eng. Irish poet, satirist, composer, and political propagandist. He was a close friend of Lord Byron and Percy Bysshe Shelley. The son of a Roman Catholic wine merchant, Moore graduated from Trinity College, Dublin, in 1799 and then studied law in London. His major poetic work, Irish Melodies (1807–34), earned him an income of £500 annually for a quarter of a century. It contained such titles as The Last Rose of Summer and Oft in the Stilly Night. The Melodies, a group of 130 poems set to the music of Moore and of Sir John Stevenson and performed for London’s aristocracy, aroused sympathy and support for the Irish nationalists, among whom Moore was a popular hero. Lalla Rookh (1817), a narrative poem set (on Byron’s advice) in an atmosphere of Oriental splendour, gave Moore a reputation among his contemporaries rivaling that of Byron and Sir Walter Scott. It was perhaps the most translated poem of its time, and it earned what was till then the highest price paid by an English publisher for a poem (£3,000). Moore’s many satirical works, such as The Fudge Family in Paris (1818), portray the politics and manners of the Regency period. In 1824 Moore became a participant in one of the most celebrated episodes of the Romantic period. He was the recipient of Byron’s memoirs, but he and the publisher John Murray burned them, presumably to protect Byron. 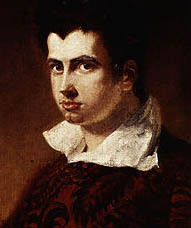 Moore later brought out the Letters and Journals of Lord Byron (1830), in which he included a life of the poet. Moore’s lifelong espousal of the Catholic cause led him to produce such brilliant works as his parody of agrarian insurgency, The Memoirs of Captain Rock (1824), and his courageous biography of the revolutionary leader of the 1798 rebellion, The Life and Death of Lord Edward Fitzgerald (1831). English poet, novelist, and social critic best known for her support of such radical causes as abolitionism and the French Revolution. The daughter of an army officer, she was privately educated at Berwick-on-Tweed. After she went to London in 1781 to publish her poem Edwin and Eltruda, she made a wide literary acquaintance, which included Dr. Samuel Johnson and Robert Burns as well as such prominent radicals as Joseph Priestley and William Godwin. In the 1780s she achieved some success with her poetry; her collected poems (1786) had a subscription of some 1,500 names. The first important expression of Williams’s interests in social reform came with her Poem on the Slave Bill (1788), and her opposition to slavery was clear in her novel Julia (1790), which also indicated her support for the French Revolution. She spent the summer of 1790 in Revolutionary France, returned again in late 1791, and settled there in late 1792. Her sympathy for the Revolution is recorded in volumes of Letters published from 1790 to 1796. She was particularly attracted to the moderate Girondins and allowed her Paris salon to serve as a meeting place for them as well as for British radicals; among the attendees were the English-American political pamphleteer Thomas Paine and the English feminist Mary Wollstonecraft. Arrested with other British citizens in October 1793, Williams was soon released but had to leave Paris the following year, eventually going to Switzerland in June to escape Jacobin persecution. On her travels Williams was accompanied by another English expatriate, John Hurford Stone. She wrote about her time in Switzerland in Tour in Switzerland (1798), which also includes some of her verse. Her hatred for Robespierre did not destroy her faith in the original principles of the Revolution, and after his fall (July 1794) she returned to Paris. Williams’s enthusiasm for political change in France lost her most of her literary friends in England. Because of her disenchantment with the Directory, she initially admired Napoleon Bonaparte, but she later condemned him as a tyrant and finally welcomed his fall in her Narrative of the Events (1815). In the meantime she satirized rank and privilege in Perourou (1801) and reiterated her republican principles in an edition of the forged correspondence of Louis XVI (1803). In 1817 she took out letters of naturalization in France but spent most of the remaining decade of her life in Amsterdam. Her Poems on Various Subjects appeared in 1823. 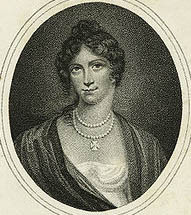 Mary Robinson (née Darby) (27 November 1757 – 26 December 1800) was an English poet and novelist. During her lifetime she is known as 'the English Sappho'. She was also known for her role as Perdita (heroine of Shakespeare's The Winter's Tale) in 1779 and as the first public mistress of George IV. Mary Darby was born in Bristol, England to John Darby, a sea captain, and Hester Seys. According to her memoirs, Mary gives her birth in 1758 but the year 1757 seems more likely according to recently published research (see appendix to Byrne, 2005). Her father deserted her mother when Mary was still a child, and Mrs Darby supported herself and the five children born of the marriage by starting a school for young girls (where Mary taught by her 14th birthday). However, during one of his brief returns to the family, Captain Darby had the school closed (which he was entitled to do by English law). Mary, who at one point attended a school run by the social reformer Hannah More, came to the attention of actor David Garrick. Mary's mother encouraged her to accept the proposal of an articled clerk, Thomas Robinson, who claimed to have an inheritance. After the early marriage, Mary discovered that Thomas Robinson did not have an inheritance. Subsequently, she supported their family. After her husband squandered their money, the couple fled to Wales (where Mary's only living daughter was born in November). The family lived under house-arrest after Thomas Robinson was imprisoned for debt. 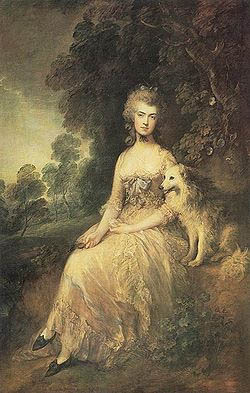 During this time, Mary Robinson found a patron in Georgiana, Duchess of Devonshire who sponsored the publication of Robinson's first volume of poems, Captivity. After her husband obtained his release from prison, Robinson decided to return to the theater. She launched her acting career and took to the stage, playing Juliet, at Drury Lane Theatre in December 1776. Robinson was best known for her facility with the 'breeches parts', her performances as Viola in Twelfth Night and Rosalind in As You Like It won her extensive praise. But she gained popularity with playing in Florizel and Perdita, an adaptation of Shakespeare, with the role of Perdita (heroine of Shakespeare's The Winter's Tale) in 1779. It was during this performance that she attracted the notice of the young Prince of Wales, later King George IV of Great Britain and Ireland, who offered her twenty thousand pounds to become his mistress. With her new social prominence, Robinson became a trend-setter in London, introducing a loose, flowing muslin style of gown based upon Grecian statuary that became known as the Perdita. He ended the affair in 1781, refusing to pay the promised sum. "Perdita" Robinson was left to support herself through an annuity promised by the Crown (but rarely paid), in return for some letters written by the Prince, and through her writings. After seeing her as Perdita, and declaring himself enraptured with her, the Prince of Wales offered Mary Robinson twenty thousand pounds to become his mistress. However, he soon tired of her and abandoned her after a year, refusing to pay the money. Her reputation was destroyed by the affair, and she could no longer find work as an actress. Eventually, the Crown agreed to pay Robinson five thousand pounds, in return for the Prince's love letters to her. Some time later she was able to negotiate a small annuity (five hundred pounds) from the Crown, but this was rarely paid. Mary Robinson, who now lived separately from her philandering husband, went on to have several love affairs, most notably with Banastre Tarleton, a soldier who had recently distinguished himself fighting in the American War of Independence. Their relationship survived for the next 15 years, through Tarleton's rise in military rank and his concomitant political successes, through Mary's own various illnesses, through financial vicissitudes and the efforts of Tarleton's own family to end the relationship. However, in the end, Tarleton married Susan Bertie, an heiress and an illegitimate daughter of the young 4th Duke of Ancaster, and niece of his sisters Lady Willoughby de Eresby and Lady Cholmondeley. In 1783, at the age of 26, Robinson suffered a mysterious illness that left her partially paralyzed. Biographer Paula Byrne speculates that a streptococcal infection resulting from a miscarriage led to a severe rheumatic fever that left her disabled for the rest of her life. From the late 1780s, Mary Robinson became distinguished for her poetry and was called "the English Sappho." In addition to poems, she wrote six novels, two plays, a feminist treatise, and an autobiographical manuscript that was incomplete at the time of her death. Like her contemporary Mary Wollstonecraft, she championed the rights of women and was an ardent supporter of the French Revolution. 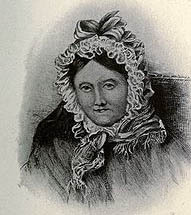 She died in late 1800 in poverty at the age of 42, having survived several years of ill health, and was survived by her daughter, who was also a published novelist. After years of scholarly neglect, Robinson's literary afterlife continues apace. In addition to regaining cultural notability because of scholars who study her writing, she again attained a degree of celebrity in recent years when several biographies of her appeared, including one by Paula Byrne that became a top-ten bestseller after being selected for the Richard and Judy Book Club. born Aug. 12, 1774, Bristol, Gloucestershire, Eng. English poet and writer of miscellaneous prose who is chiefly remembered for his association with Samuel Taylor Coleridge and William Wordsworth, both of whom were leaders of the early Romantic movement. born Dec. 24, 1754, Aldeburgh, Suffolk, Eng. English writer of poems and verse tales memorable for their realistic details of everyday life. In 1783 Crabbe demonstrated his full powers as a poet with The Village. Written in part as a protest against Oliver Goldsmith’s The Deserted Village (1770), which Crabbe thought too sentimental and idyllic, the poem was his attempt to portray realistically the misery and degradation of rural poverty. Crabbe made good use in The Village of his detailed observation of life in the bleak countryside from which he himself came. The Village was popular but was followed by an unworthy successor, The Newspaper (1785), and after that Crabbe published nothing for the next 22 years. Apparently happily married (1783) and the father of a family, he no longer felt impelled to write poetry. In 1807, however, spurred by the increasing expenses associated with his sons’ education, Crabbe began to publish again. He reprinted his poems, together with a new work, “The Parish Register,” in which he made use of the register of births, deaths, and marriages to create a compassionate depiction of the life of a rural community. Other verse tales followed, including The Borough (1810), Tales in Verse (1812), and Tales of the Hall (1819).